Dove and duck hunters will have roughly the same seasons they’ve had in the past, with three parts to each season and dove season extending an extra 15 days. Dove seasons will be Sept. 1-Oct. 6, Nov. 17-Dec. 1, and Dec. 10-Jan. 31, 2019 Bag limit will be 15 birds per day. Duck hunters also get a three-way split: Oct. 3-6, Nov. 10-Dec. 1 and Dec. 15-Jan. 26, 2019. The bag limit remains six birds per day, with one big change; the limit on pintails has risen from one bird to two. Black ducks and mottled ducks can’t be taken until Nov. 17, and other species limits include: five mergansers (two hooded mergansers), four scoters, four eiders, four long-tailed ducks, four mallards (no more than two hens), three wood ducks, two scaup, two redheads, two canvasbacks, two black ducks, one mottled duck and one fulvous whistling duck. 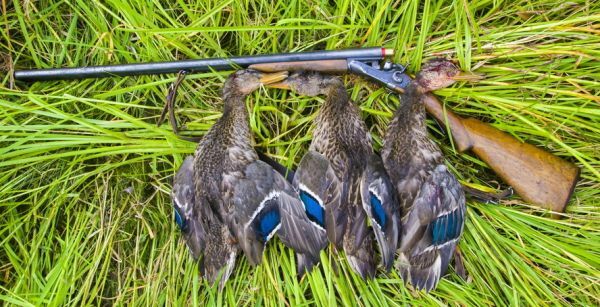 Hunters along the coast will get an early teal season that runs Sept. 12-29. Hunting is allowed east of US 17 only, with a six-bird daily bag limit. The special sea duck season is Nov. 19-Jan. 26, 2019, with a five-duck daily bag limit. Canada geese can be hunted statewide from Sept. 1-29, with a 15-bird daily bag limit. After September, seasons in the Resident Population Zone are Oct. 3-13, Nov. 10-Dec. 1 and Dec. 15-Feb. 9, 2019, with a five-bird daily bag limit. In the Northeast Population Zone, the season is Jan. 1-29, 2019, by permit only, with a one-bird daily limit. The St. James Bay Population Zone no longer exists. Brant season will be Dec. 15-Jan. 26, 2019, with a daily bag limit of one bird. For light geese (Ross, Snow and Blue), seasons are Oct. 9-Feb. 9, 2019, with a bag limit of 25. During the special Conservation Order season (Feb. 11 – March 30, 2019), by permit only, hunters will have no bag limit and be able to hunt with unplugged guns, use electronic calls and hunt 30 minutes past sunset. The permit-only season on tundra swan is Nov. 10, 2018 – Jan. 31, 2019, with a one-bird season limit. The season on woodcock will be Dec. 8-Jan. 29, 2019, with a three-bird daily bag limit. The season on common snipe will be Oct. 27-Feb. 28, 2019, with an eight-bird daily bat limit. The season on king, clapper, sora and Virginia rails, gallinules and moorhens is Sept. 1-Oct. 13 and Oct. 22-Nov. 28. Daily bag limits on kings and clappers is 15, soras and Virginias 25 and 15.